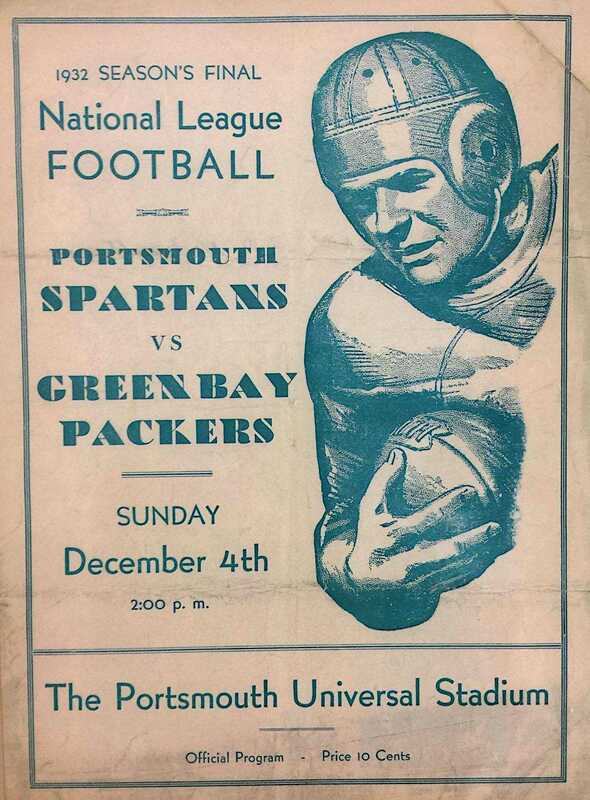 On Sunday, 4 December 1932, the reigning NFL champion Green Bay Packers faced off the Portsmouth Spartans in what has come to be popularly known as the Iron Man Game. Played in Portsmouth’s Universal Stadium (now known as Spartan Municipal Stadium), interest in the game ran so high that city authorities brought in the National Guard for crowd control. 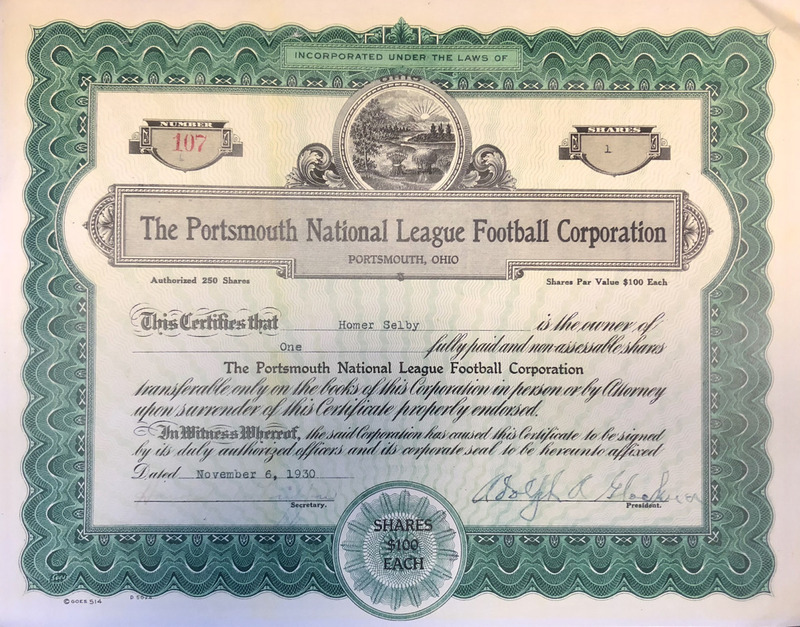 The league’s 1932 championship hung in the balance and the prospects for professional football in smaller cities like Portsmouth and Green Bay were being put to the test. 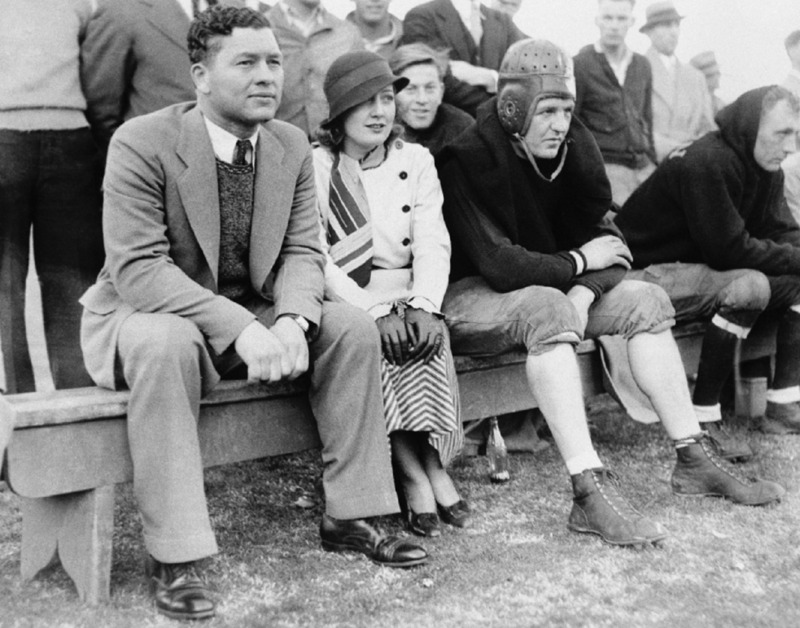 Packers coach Curly Lambeau entered the game with the NFL’s best record, 10-1-1, with only two games left in the season. If the Packers defeated the Spartans they would clench their fourth league championship. The Spartans sat at 5-1-4 in the standings, and were tied for second place with the Chicago Bears. A victory over Green Bay would lead to a scenario in which the Spartans could finish the season as league champions, a scenario that would nearly playout two weeks later when the Spartans met the Chicago Bears in the first ever postseason NFL championship game. 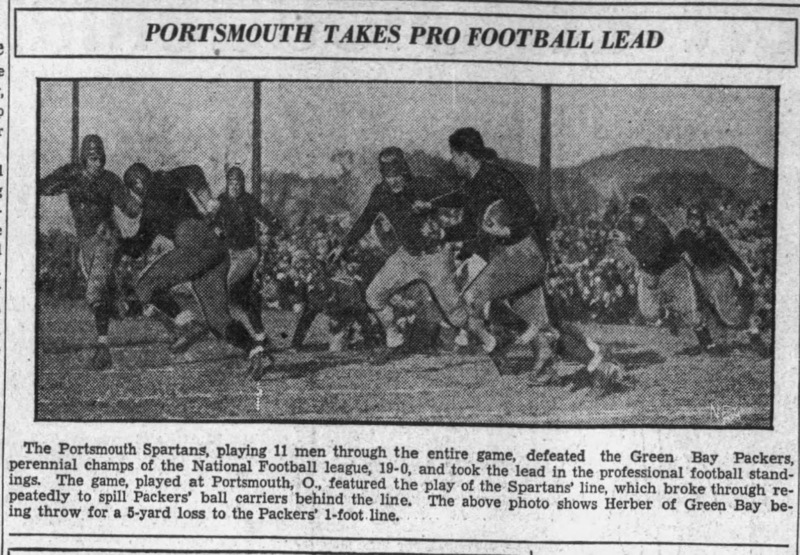 With the 1932 season reaching its climax with the Packers game in Portsmouth, Spartans coach George “Potsy” Clark, his players, and their fans not only wanted a shot at the championship, they wanted revenge by denying the title to their greatest rival -- the “World Champion” Green Bay Packers. The Iron Man Game of 1932 is the most widely remembered Spartan contest thanks to its role in setting up the first postseason playoff game in the league’s history, one that would resolve a tie between the Spartans and the Chicago Bears. In 1994, the residents of Portsmouth commissioned Robert Dafford to design and paint a mural memorializing what many consider the greatest moment in Portsmouth sports history. 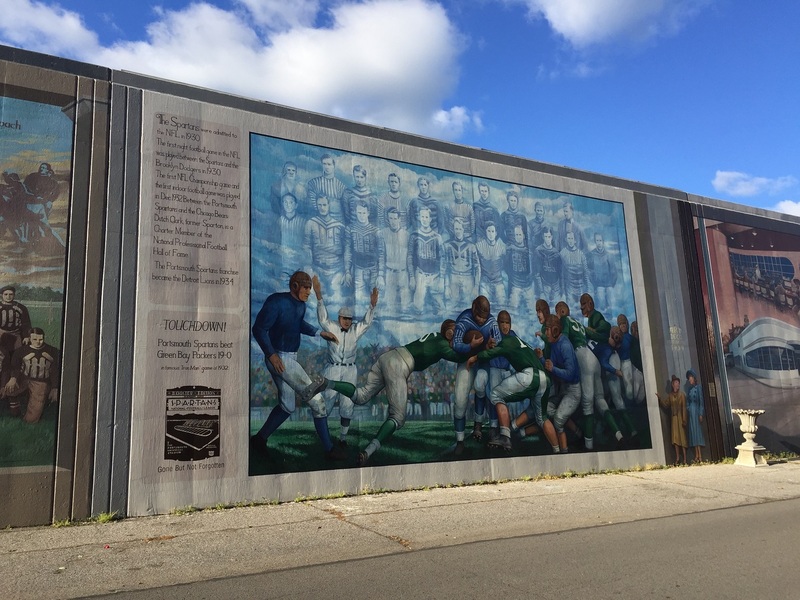 Painted by Robert Dafford, the mural depicts the leather-helmeted, Glenn Presnell -- the Spartans’ star halfback -- scoring a touchdown in front of a cheering homefield crowd, which has jumped to its feet in celebration. With between 13,000 and 17,500 in attendance, the game may also mark the largest crowd ever assembled in Portsmouth. Unfortunately for the team’s finances, crowds of this size were far from usual and the Spartans never again attracted a crowd as large as that which witnessed the Iron Man Game. The franchise’s local owners needed regular crowds of between 6,000 and 7,000 to break even. Such ticket sales proved elusive and a large share of the gate money from the big games (like that with the Packers) was reserved for the visiting team. With limited ticket sales, along with the expenses associated with hosting games in Universal Stadium and the cost of maintaining a traveling team, the Spartans found it impossible to make a profit. After having lost money every year from their NFL birth in 1930 through the 1933 season, the team’s owners voted in 1934 to sell the franchise to investors in Detroit, Michigan, where the Spartans would be rebranded the Lions. The rivalry between the Spartans and Packers predates the Spartans entrance into the league. 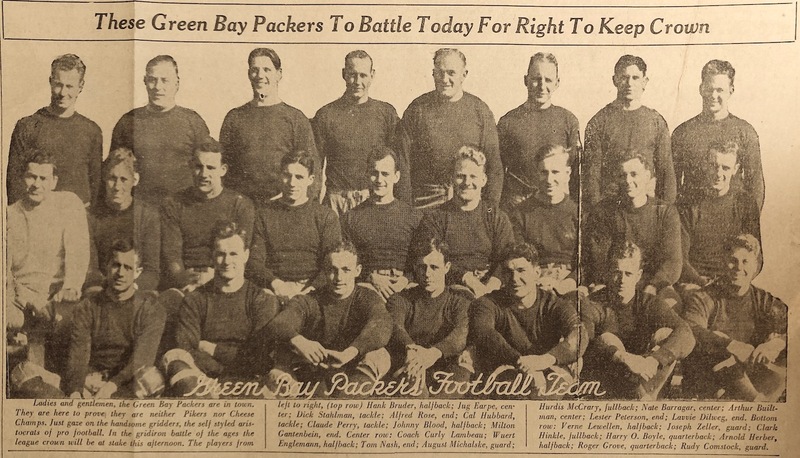 Formed in 1929, the pre-NFL Spartans were coached by former Green Bay players and its roster included a number of men who had spent time playing for Lambeau’s Packers. The rivalry, however, truly took hold in the Spartans’ second NFL season in 1931. 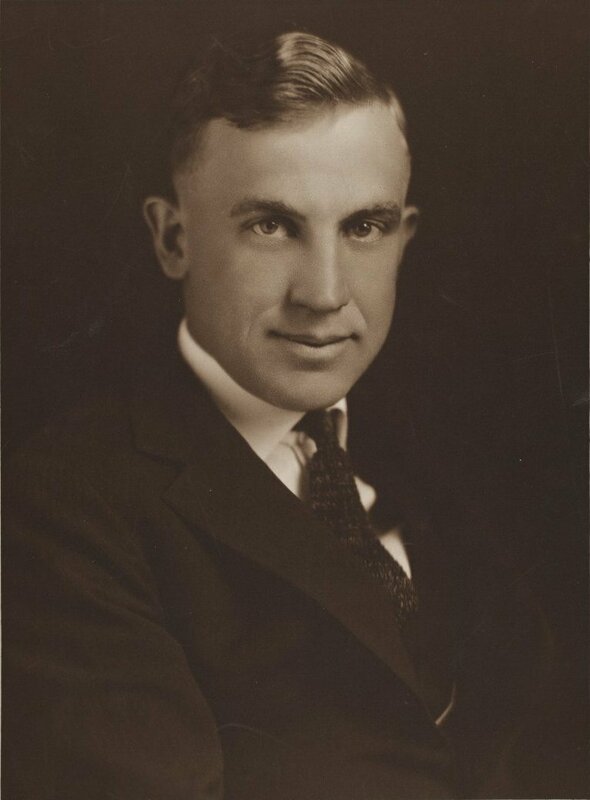 Harry Snyder, the business manager and largest shareholder of the Spartans, hired Potsy Clark to coach the Spartans for the 1931 season. Clark had originally made a name coaching in the US Army during World War I. In the spring of 1919, he led the 89th Division's football team to the American Expeditionary Forces Championship. With the peace he took up coaching at the college-level, first at Illinois University (1919), then at Michigan State University (1920), The University of Kansas (1921-1925), Minnesota (1926), and, lastly, at Butler University in Indianapolis (1927-1929). Coach Clark brought discipline and a hard work ethic to the Spartans, and, held grueling training sessions and practices with little padding. “My experience in coaching college and professional athletes,” Clark once explained to the Portsmouth Daily Times, “leads me to believe that players properly trained and drilled do not demand heavy bunglesome pads. We need to protect the vulnerable spots, but not the body in general. The untrained boy must be taught the art of falling - later, blocking, etc.” Clark warned against unsupervised, unorganized play: “The untrained boy should not play football unless the play is properly organized. Pads will not prevent injuries to these immature, untrained lads.” Author Kyle Crichton described Clark as "a kindly fellow who is good to his family, pays his debts and always honks his horn when driving out of an alley; but as a football coach he belongs to the school which holds that a man who can't run a hundred yards in ten flat with a broken leg is a geranium." Players later mused that Clark's intensity was a result of "the old army spirit." With Potsy Clark at their head, the Spartans had an impressive line-up of recent college stars. 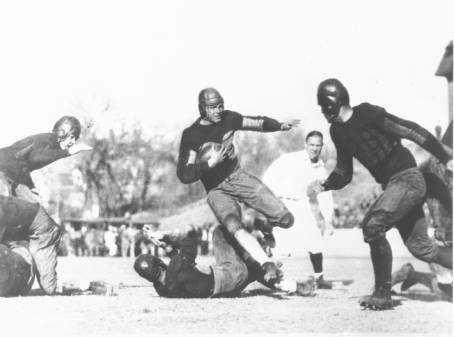 All-American Quarterback Earl ‘Dutch’ Clark (Colorado College), Halfback Father Lumpkin (Georgia Tech) and Halfback Glenn Presnell (University of Nebraska), were the standout starters. Presnell had more recently been a member of the Ironton Tanks, a semi-pro team just 25 miles up river from Portsmouth. 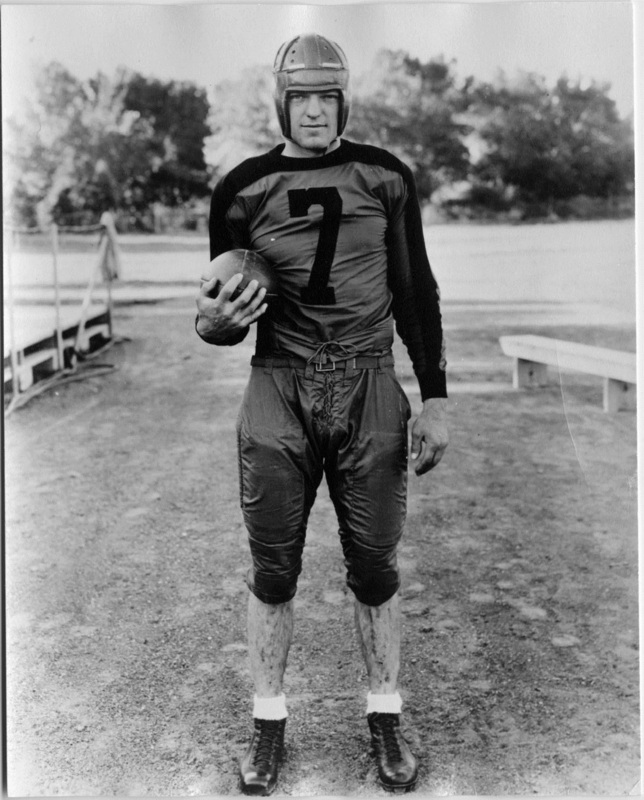 He even led the Tanks to upset victories over the Chicago Bears and New York Giants in 1930. Presnell and Dutch Clark led the Spartans to the NFL’s second best record in 1931 (11-3), just behind the league leading Green Bay Packers (12-2). Before the start of the season, the two teams had agreed to play a late season game in Portsmouth, but the game had not been included in the official regular season schedule. Concerns about mid-December weather, which could drive down attendance (and gate receipts) had kept the game off the season’s official schedule. The game was understood to be “tentatively scheduled,” pending the weather. Football historian Carl Becker has noted, “At that time no one saw the Spartans as a contender for the championship.” Yet, when the Packers lost to the Bears on December 6th, placing their title in jeopardy, Green Bay’s Board of Directors decided to back out of the tentative agreement, canceling their appearance in Portsmouth, which had been scheduled for December 13th. 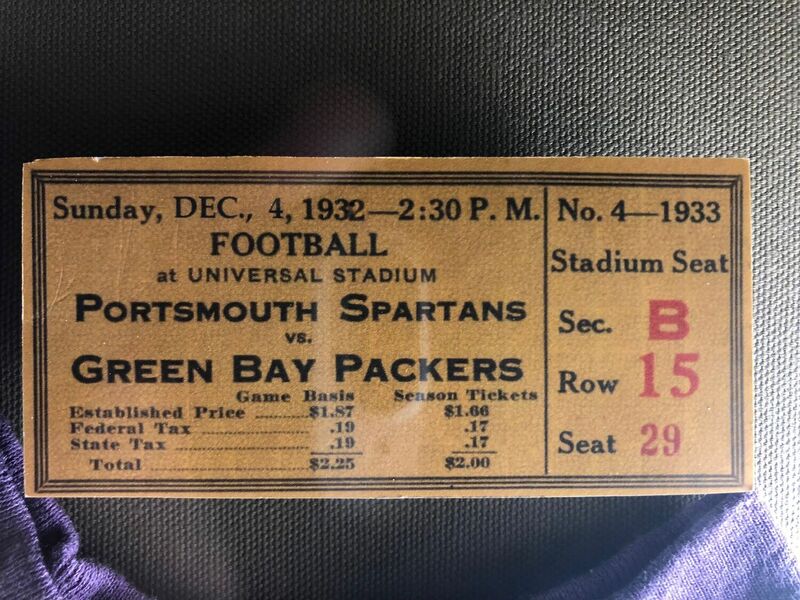 The decision would stand and the Packers would be crowned the kings of the NFL for the third time, yet during the 1931 season they had never once played the Spartans, who ended the year with the second best record in the league. Had the Packers lost to the Spartans, there would have been a tie with both teams ending the season with a 12-3 record. The Spartans hoped that if they could defeat the Packers in a season finale, they would go on to play the Packers, a second time, in a first-ever, postseason playoff game. It was not to be. Packer’s President L.H. Joaness announced: “We have won the championship and there is no logical reason why we should play Portsmouth. The directors of the Green Bay Football Corporation have voted against the game and Portsmouth has been so notified.” According to the Green Bay Press-Gazette, Joaness noted that “weather conditions might be unfavorable at game time and the crowd might be a small one and Green Bay would suffer a financial loss.” While Portsmouth fans viewed this as little more than a face-saving excuse, the finances of the Packers were nearly as bad as those of the Spartans. The following season, the Spartans and Packers would meet twice and Potsy Clark and the Spartans once again found themselves high in the standings as the season was finishing up. Their 5-1-4 record left them tied for second place with the Chicago Bears. Meanwhile, the Packers and Curly Lambeau, once again, led the NFL with an impressive record of 10-1-1. W. P. Minego, author of the popular “Huddle Whispers” column at the Portsmouth Daily Times, noted that “Lambeau is a wily, foxy, clever coach and he is not going to be caught napping Sunday. A victory here would mean pennant No. 4 for his club and a swell joy ride through the high spots in the colorful west.” A Spartan victory, on the other hand, would put an end to the Packer’s dream and realize Portsmouth’s own -- the chance for the Spartans to win the national championship in a postseason playoff. 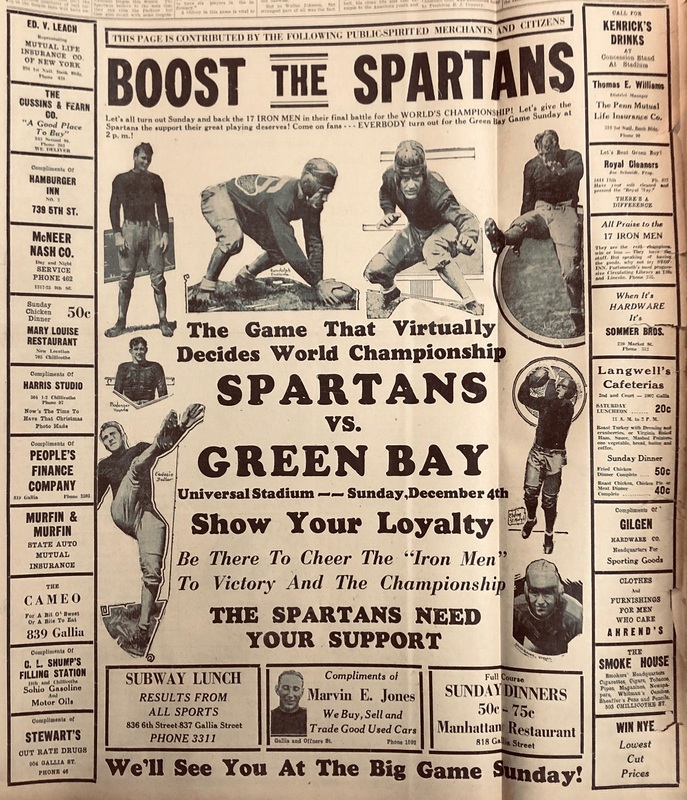 In advance of the Packer game the Spartans ran advertisements promoting the contest as the “game that virtually decides World Championship.” “Let’s all turn out Sunday and back the 17 IRON MEN in their final battle for the WORLD’S CHAMPIONSHIP!” “Show your loyalty. Be there to cheer the ‘Iron Men’ to Victory and the Championship.” By December of 1932, the term “Iron Man” had come to refer to a footballer who played the full 60-minutes of a game, playing on both offense and defense. Portsmouth, being an old iron and steel manufacturing center, may have found the Iron Men nickname particularly apt, but whatever the case, the players were already being described as Iron Men in the press before the fateful game of December 4th. So-called 60-minute men were not unusual in the NFL before the 1940s, when league rules changed, allowing for unlimited substitutions and the fielding of two separate offensive and defensive teams. With limitations on substitutions and the expense of carrying two teams of players proving to be cost-prohibitive during Great Depression, Potsy Clark had seventeen Spartans on his roster in 1932, when league rules capped rosters at twenty-two. Harry Snyder and the Spartan organization were forced to build new seating and borrow stands from the nearby Selby Shoes and Portsmouth High School gyms. And indeed, two hours before kickoff, a massive traffic jam clogged the city streets. While some accounts place the crowd at over 17,500, others place the number around 13,000, with Universal Stadium holding between 11,000 and 12,000 fans, and an additional thousand-plus watching from outside the stadium, atop the floodwall that protected the stadium and its East End neighborhood from the mighty Ohio River. 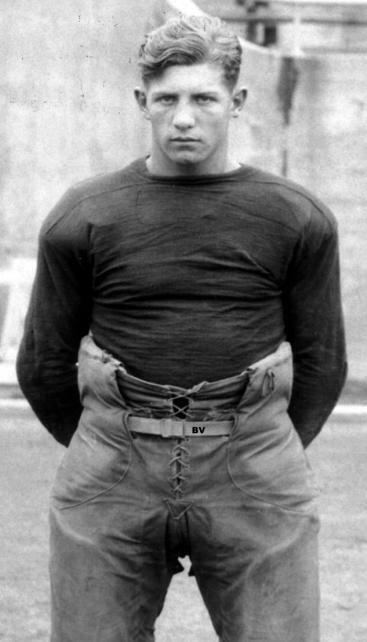 At the start of the game, when the men lined up to run out on the field, Potsy Clark announced to the team, “I am going to start eleven men and the only way you're going to come off that field is if we have to carry you off.” Clark’s Immortal Eleven included: (1) Bill McKalip, (2) Ray Davis, (3) Maury Bodenger, (4) Clare Randolph, (5) Ox Emerson, (6) George Christensen, (7) Harry Ebdling, (8) Earl ‘Dutch’ Clark, (9) Father Lumpkin, (10) Glenn Presnell, and (11) Ace Gutowsky. When the final whistle blew and the game was entered into the books, the Box Score recorded eight substitutions for Green Bay, none for Portsmouth. It was a smashing victory, 19-to-0, made all the more incredible by the fact that all eleven Spartan starters had played every down, offense and defense, for the full 60-minute game. “A purple tornado, riding abreast a mile a minute gale of almost cyclonic fury swept out of the timbered hills of Southern Ohio Sunday afternoon at Universal Stadium before a record concourse of 12,000 frenzied fans and blew the Wisconsin Green Bay Packers far off the world’s football throne. As the mighty Packers toppled from their lofty seat, the Spartans took their place, reaching the highest pinnacle the football world offers, after years of battling misfortune, disappointment, reversed and great odds, pushing courageously and tenaciously onward to their coveted goal, Portsmouth’s victory insures the Spartans of at least a tie for first place. For many Spartan fans, the Iron Man Game is recalled as the greatest football game in Portsmouth sports history, when the “Purple Herd” proved that they were truly the best NFL team in 1932. They had defeated their rivals, the reigning “world champions,” denying the Packers their fourth NFL championship, and set themselves up to either take home the crown for Portsmouth or tie for first in the standings with the Chicago Bears. And, then, at the end of regular season play in 1932, when the Bears and the Spartans found themselves tied for first place, the teams agreed to meet in the first ever, postseason NFL championship game. Due to frigid weather and concerns about lackluster gate receipts the game was moved indoors, thus making it also the first indoor game in the league’s history. All of that NFL history had been made possible by the Spartans’ astonishing victory over the Packers in the Iron Man Game. The Spartans victory over the Packers may never be forgotten, but without a league championship and the ability to draw more than 6,000-to-7,000 fans on a regular basis, the Spartans’ finances were in trouble. In retrospect, the Iron Man Game marked the zenith of professional football in Portsmouth. The Spartans would only play one more season in the River City. Kyle Crichton, "For Love and Money", Collier's (1 December 1934). Carl M Becker, "Home & Away", The Rise and Fall of Professional Football on the Banks of the Ohio, 1919-1934 (Athens: Ohio University Press, 1998). 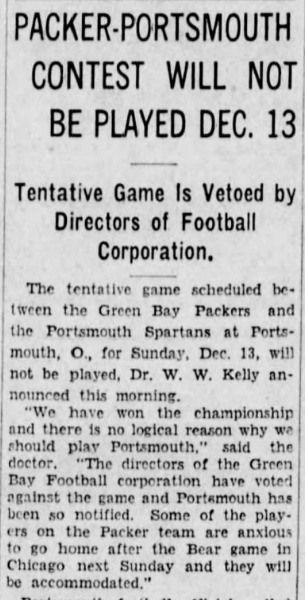 "Tentative Game is Vetoed by Directors of Football Corporation," Green Bay Gazette (30 November 1931). "Packers Face Spartans in Crucial Game Sunday: Sunday Crowd to Set Record in Portsmouth. 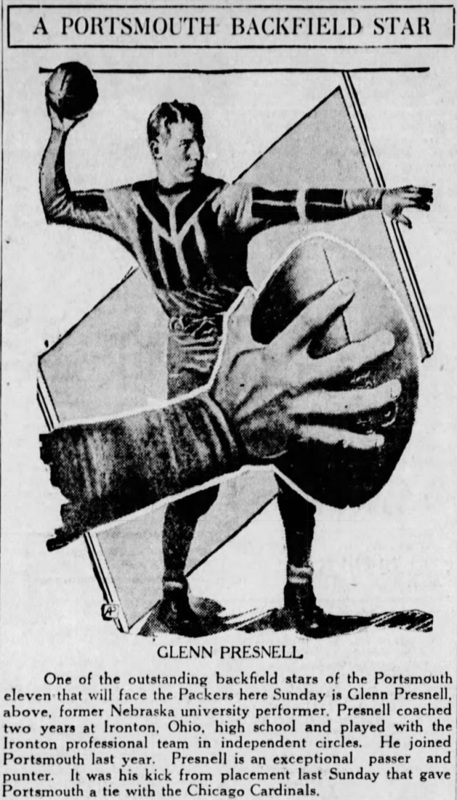 All Southern Ohio Excited about Championship Battle," Green Bay Gazette (3 December 1932). "Presnell Resigns at Russel; Signs with Spartans: Tank Ace will Wear Spartan Uniform During Full Season," Ironton Evening Tribune (8 February 1931). "Packers Keep Title Safe by Quitting: Lose to Bears and Refuse to Meet Spartans," Ironton Evening Tribune (7 December 1931). 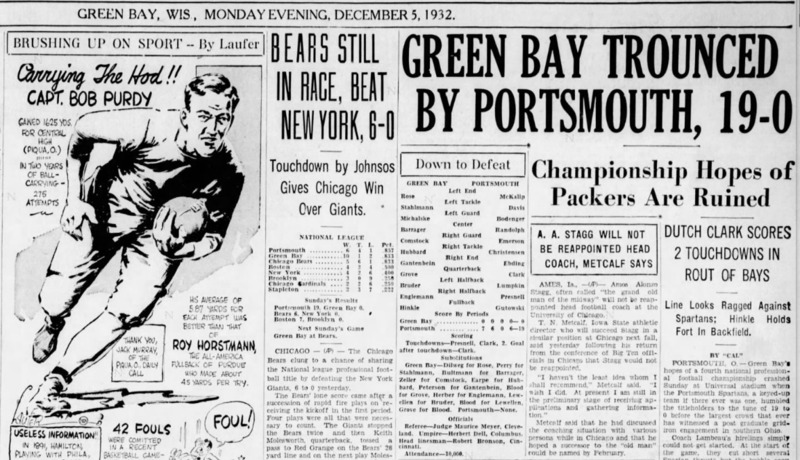 "Green Bay Must Defeat Portsmouth Spartans to Have Clear Claim to Rag," Portsmouth Daily Times (7 December 1931). "Potsy Clark Urges More Training, Less Padding," Portsmouth Daily Times (14 February 1932). 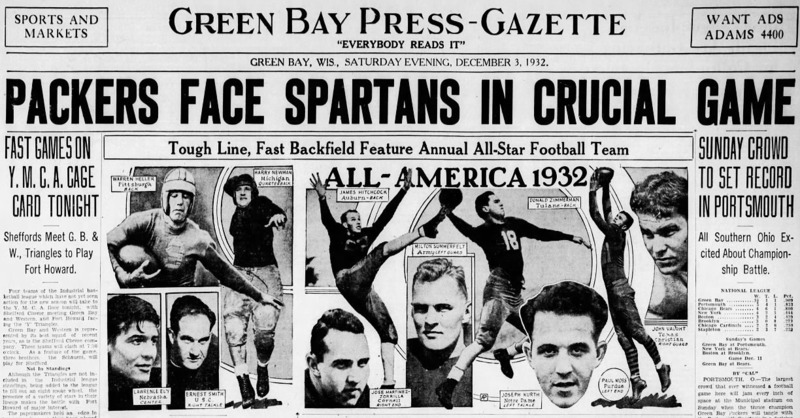 "Packers, Spartans Eager for Fray: Spartans Raging to Settle Old Grudge with Wisconsin Rivals," Portsmouth Daily Times (4 December 1932). 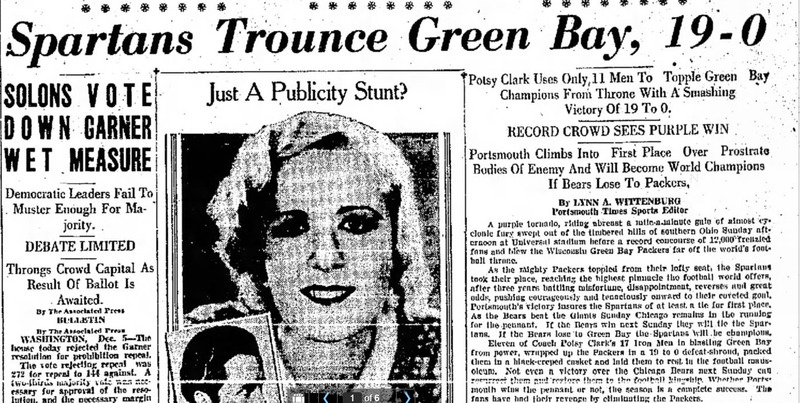 "Spartans Trounce Green Bay, 19-0: Potsy Clark Uses Only 11 Men to Topple Green Bay Champions from Throne With a Smashing Victory of 19 to 0," Portsmouth Daily Times (5 December 1932). "Portsmouth Spartans to Meet Packers Sunday: Pro Title will be at Stake in Gridiron Clash. More than 15,000 Fans to see Contest in River City," Wilmington News-Journal (30 November 1932). 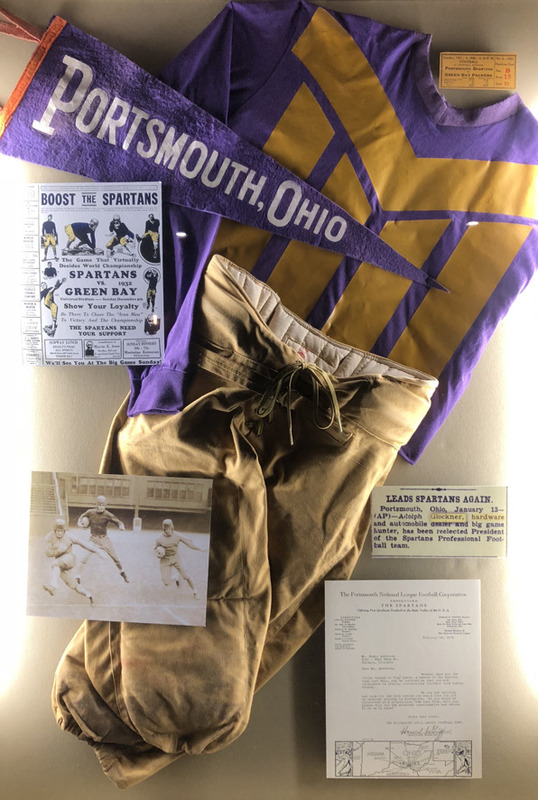 Portsmouth Spartan and Iron Man Game Memorabilia: Known as the "Purple Herd," the NFL Spartans wore purple, as seen in this replica of a Spartan uniform, which along with other Iron Man Game memorabilia is on display at the B. Glockner Building on Market Street in Portsmouth, Ohio. A newspaper article on display notes that "Adolph Glockner, hardware and automobile dealer and big game hunter, has been reelected President of the Portsmouth Spartans Football Team." ~ Source: Image courtesy of Andrew Feight, Ph.D., from the Scioto Historical Series, private collection, Friendship, Ohio. 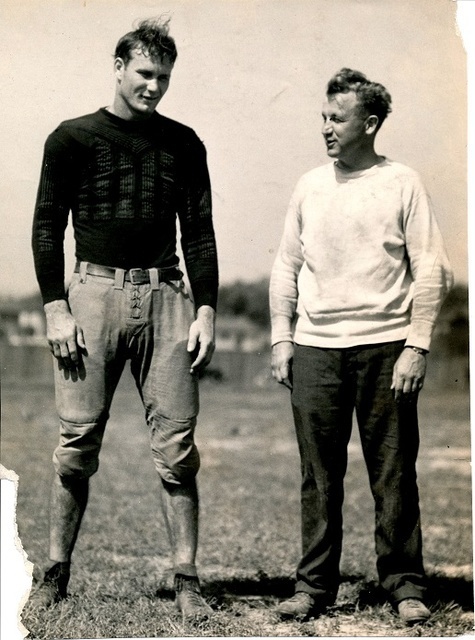 ~ Creator: Andrew Feight, Ph.D.
Spartan Running Back Glenn Presnell: Glenn Presnell (University of Nebraska) played football for the Ironton Tanks from 1929-1930. He also taught science at Ironton High School. Presnell was the star of a semi-professional team that regularly faced off against NFL teams. His resume included wins over both the New York Giants and the Chicago Bears. The Tanks folded in 1930, and Presnell joined the nearby Portsmouth Spartans in 1931. In 1933, he led the NFL in total offense with 1,296 yards- after he took over the role of quarterback following Dutch Clark's departure. He also broke the single season scoring record (64 points) and held the record for the longest field goal (54 yards) for nearly 20 years. After the Spartans were bought and moved to Detroit, Presnell did the honors of selecting the color scheme for the new Lion's uniforms. He remained with the team until 1936 and went on to become head coach the University of Nebraska. Presnell died in 2004 in Ironton, Ohio. He was the last surviving member of the Detroit Lions 1935 title team. 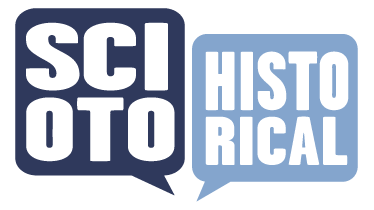 ,” Scioto Historical, accessed April 24, 2019, https://sciotohistorical.org/items/show/119.